Once a producer and broadcast journalist for ABC and for CBS's 60 Minutes, he later founded the Washington, D.C.-based Center for Public Integrity and American University's Investigative Reporting Workshop. After attending the University of Delaware, he began his journalism career in the late 1970s. Throughout the course of his career, he created several non-profit organizations, including Global Integrity and The Fund for Independence in Journalism. He was the 1998 recipient of a MacArthur Fellowship and the 2004 winner of the PEN USA First Amendment Award. He spent most of his adult life in the Washington, D.C. area, teaching briefly in New Jersey (at Princeton) and Massachusetts (at Harvard). 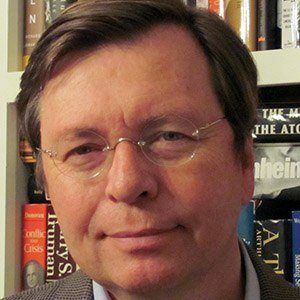 As an investigative journalist, he uncovered questionable policies and statements by both the Bill Clinton and George W. Bush presidential administrations, detailing his findings in such publications as Fat Cat Hotel (about Clinton's under-the-table rewards to donors) and The Iraq War Card (about the Bush administration's unsubstantiated statements about dangers posed by Saddam Hussein's Iraqi regime).